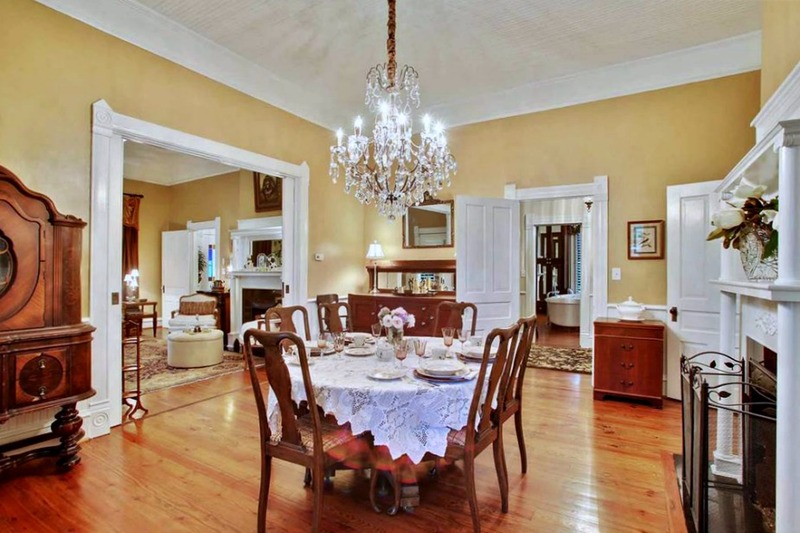 The home we are touring today has it all! 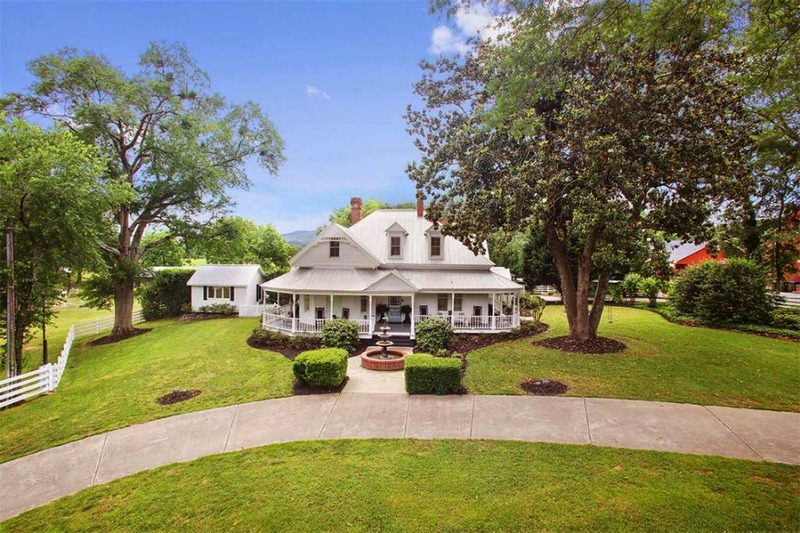 This perfect historic home was built in 1940 and is located in Taylorsville, Georgia. It comes complete with 4 bedrooms, 3 1/2 baths, 4 fireplaces, 3,371 square feet, and 2.51 acres. 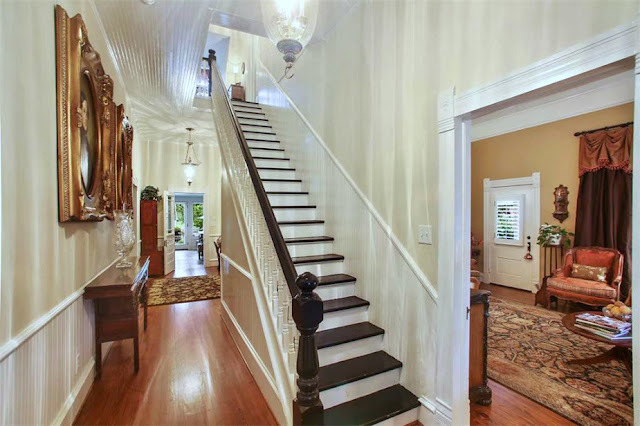 Look at that entry door! 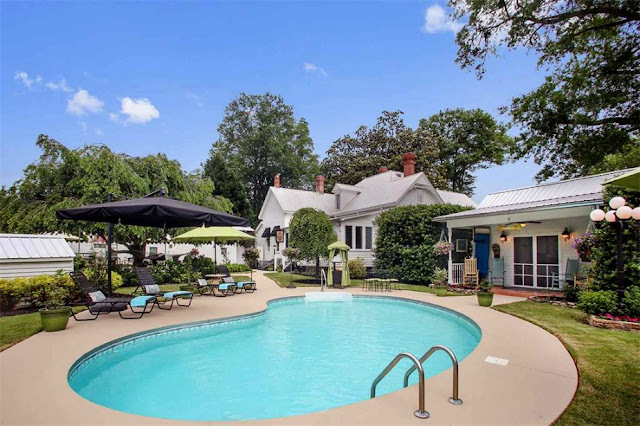 Did "historic" and "built in 1940" catch your attention? It did mine. 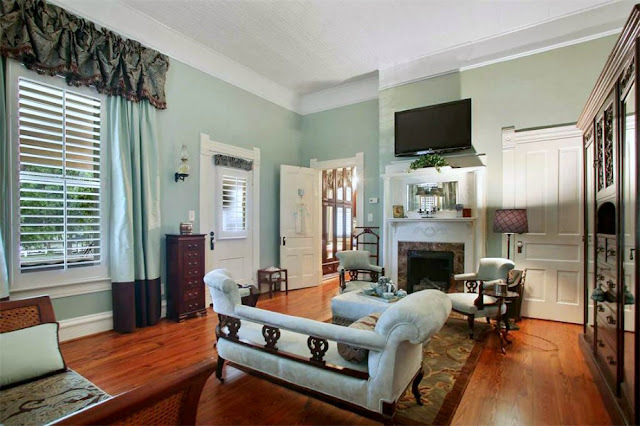 I always thought for a home to be historic it had to be over 100 years old. Nope! According to the National Register of Historic Places, for a property to be considered historic and placed on the registry, it must be around 50 years old and with basically the same appearance it had when built. 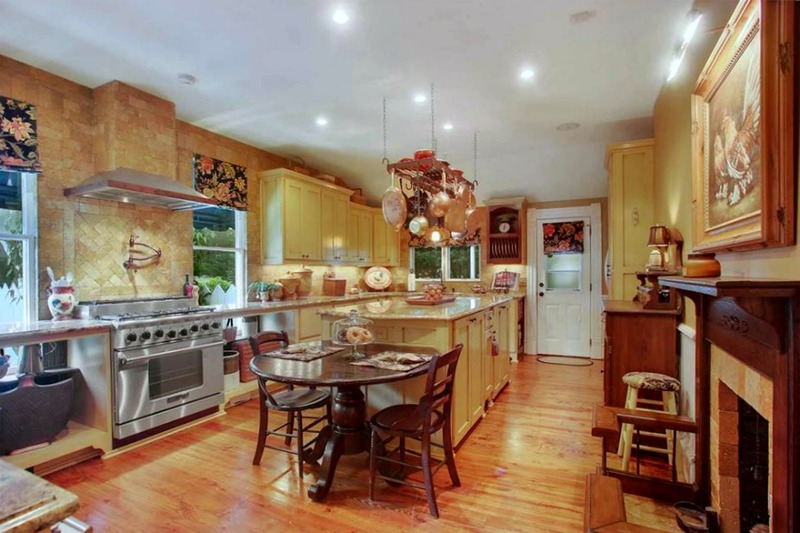 I must say, the living areas and kitchen are absolutely beautiful. 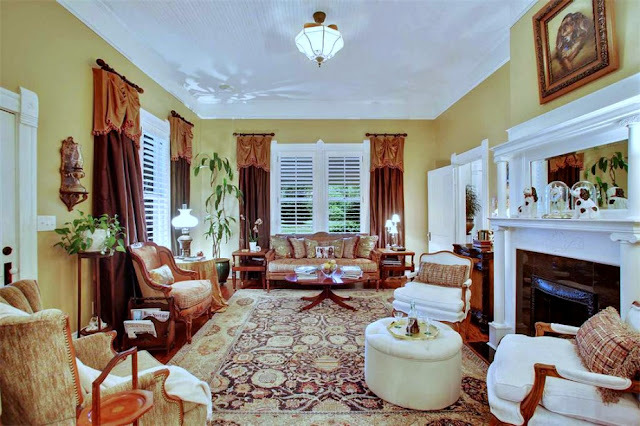 Large, a bit formal but comfortable and each is filled with fine furnishings and style. 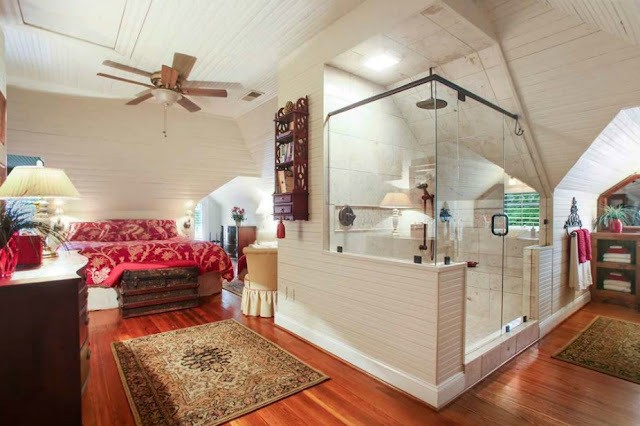 But the master bedroom and bathroom...well, they are perfect! 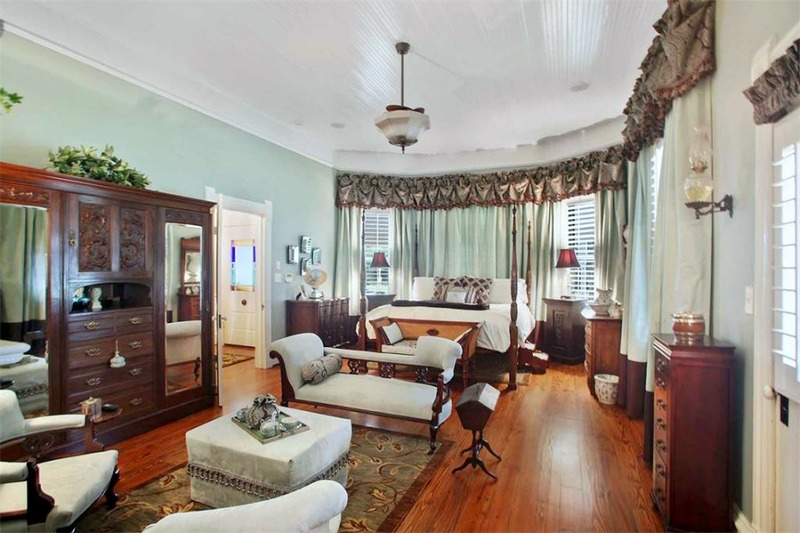 I adore the ornate armoire with center built in drawers and the simple cast iron oil lamp on the wall across the room. The master bath has it all! 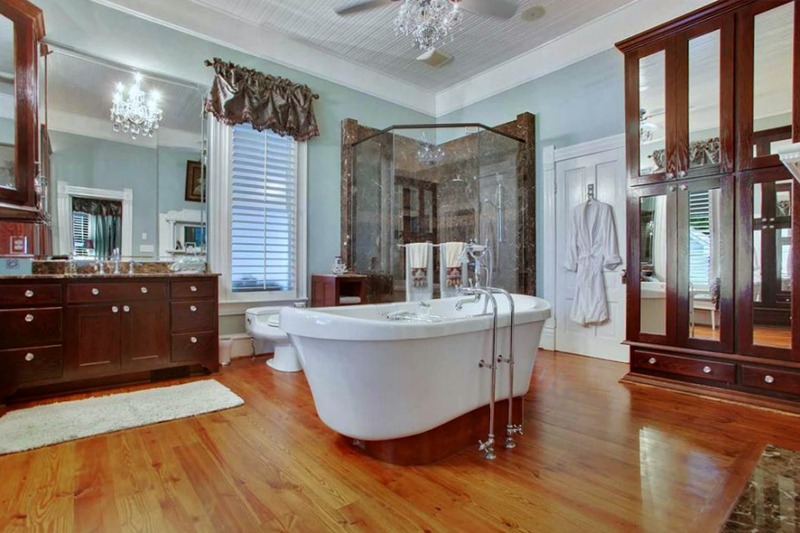 Gorgeous cabinetry, tons of storage, crystal chandelier, huge shower and just look at that tub! 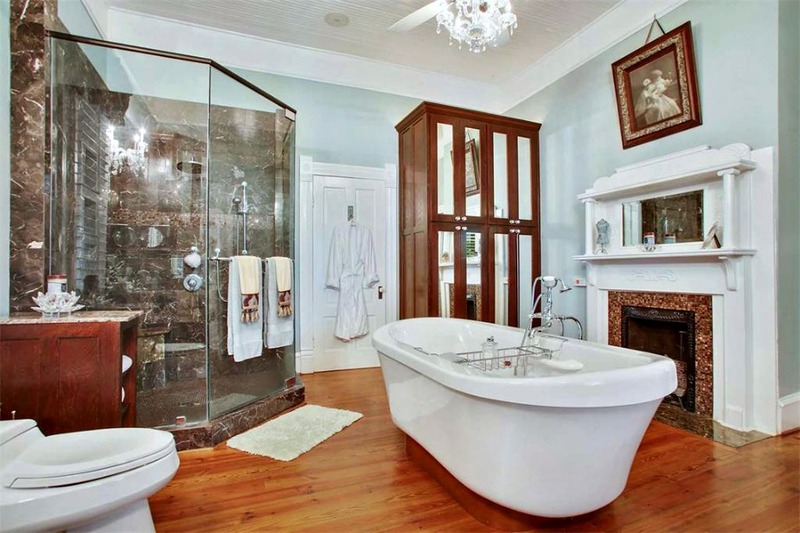 I would purchase this home for the bath alone. Oh yeah...and a fireplace too! 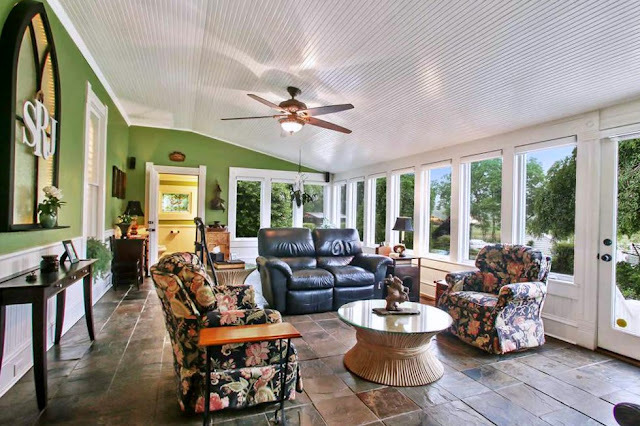 Each room in this lovely home has the original beadboard ceilings. 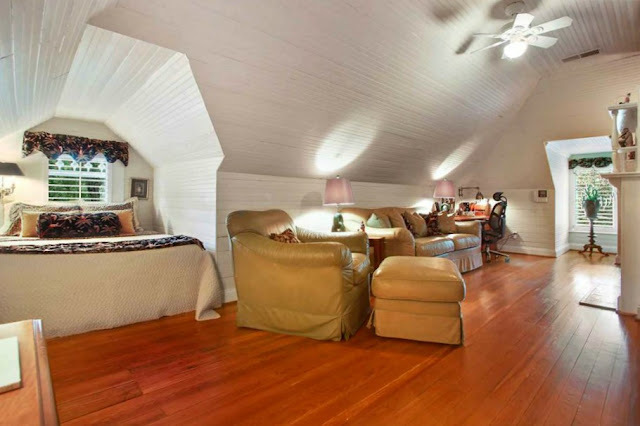 They are especially noticeable in the guest rooms with their angled roof lines and beadboard walls. 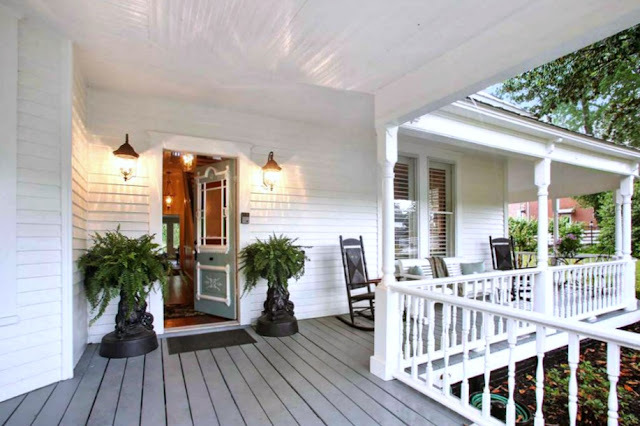 The house is stunning, but I can't wait to show you the all-season room and the outdoor spaces! 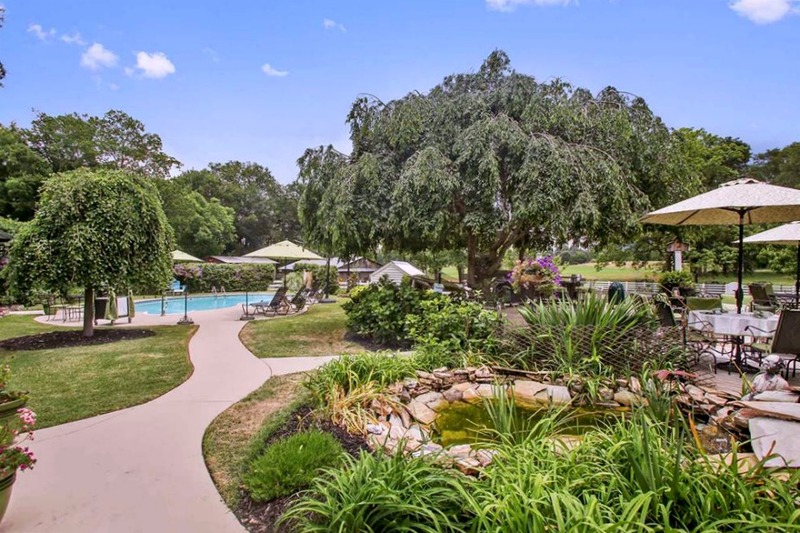 On the way to the pool is a pond and outdoor living area. This is the perfect place to spend a summer day. The pool is just the right size to get in a few laps. There is a nice lounge area to relax with a good book while getting a tan and umbrellas too, in case you need a little shade. And what's that charming little place to the right with double screened doors and a metal roof? 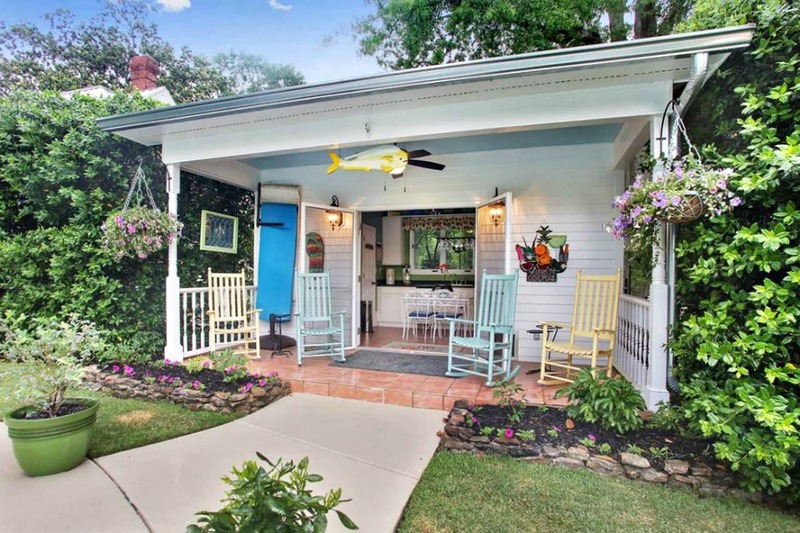 Check out this charming little pool house complete with its own rocking chair porch and a kitchen too...love! 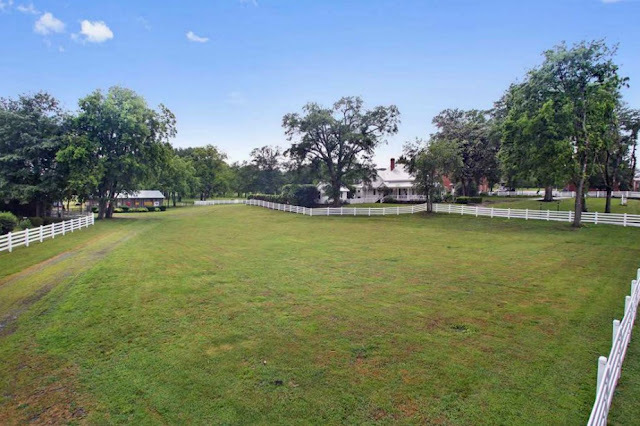 Let's head down the grassy little lane by the fence and check out the building just beyond the trees. 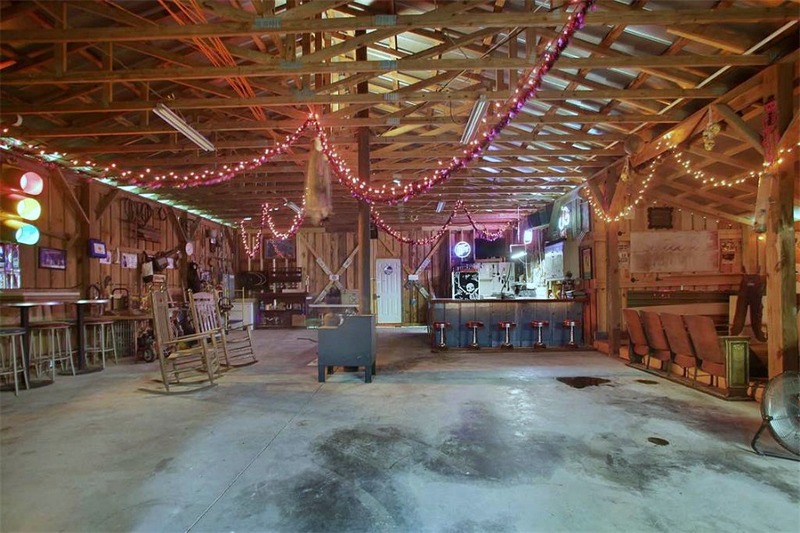 A party barn! 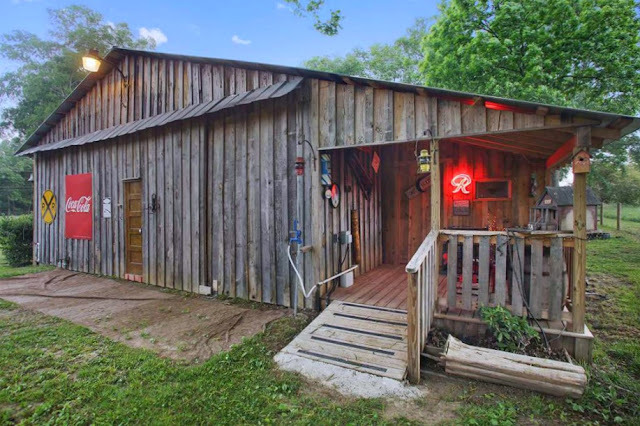 Complete with two bar areas, rocking chairs, a dance floor, space for a theater, and any other activity your little heart desires. I love this space! 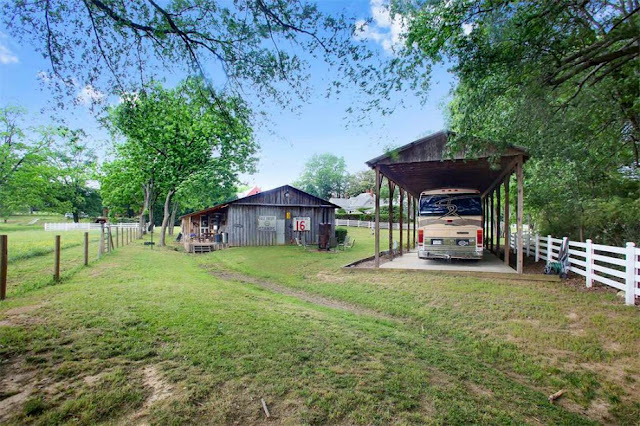 Just past the party barn is a covered area to park your motor home. If I lived here I would never want to leave; just sayin'! Well, what do you think...would you like to live here? Located at 24 Main Street, Taylorsville, Georgia, I must say I am blown away that this home and all it has to offer is ONLY $479,000. Can you believe that! It makes me want to pack up and head to Georgia! Simply fabulous. Wish we knew its history. I suppose it was a working farm in the forties and fifties. I live in Ga. But don't know Taylorsville. Is it north Georgia? That price is unbelievable!!! OMGoodness, you couldn't get half the house around here for that! 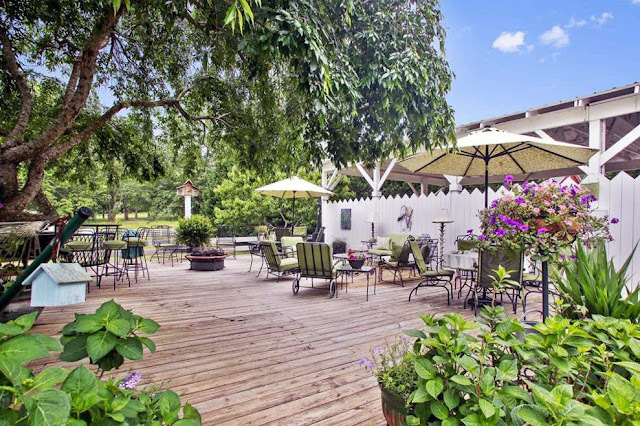 I love, LOVE the outdoor areas. Wow! You can hardly buy an apartment for that price and there is no home in town for that. *sigh* What a gorgeous house!